Football is complex, and very difficult to predict. This is largely because there’s so many factors that have a significant impact on the game. It’s not a repetitive sport which takes place under near-identical conditions each match — like darts. Every game of Football is entirely unique. Then outside of the game there’s the rumours, touchline dramas, paper-talk, speculation, injuries, transfers, bust-ups, bans, sackings — and of course the fans — which all play a part in altering our perception of teams and their players. It’s not easy for any football fan to remain rational. So how can you dismiss the noise surrounding Premier League football and start betting with your head? Here’s some general advice for any Premier League bettor. Always apply rule #1: look for value as opposed to “picking winners”. If you’re unsure on what I mean by that then take a look at the post: What Does Value Betting Mean? I’ve tried many different approaches to modelling Premier League football, looking to identify over-priced odds. Most of my attempts simply weren’t sophisticated enough to earn money. You have to be consistently smarter and more accurate than the betting exchange to produce long-term profits. But you’re up against the collective wisdom of thousands of other people. How can you find an advantage in such a competitive market? I believe that the key lies in incorporating alternative factors into your ‘betting system’. I’m referring to market influences that are either completely neglected, or conversely, given too much emphasis. You need to somehow find a way to decipher what really has an impact on football games, and what doesn’t. And that’s the reason a lot of computer models fail at football betting: they overlook, or aren’t capable of interpreting those less ‘measurable‘ factors. So whether you’re building a football prediction model, or just betting for fun, here’s several obscure Premier League football betting tips which may help you in your pursuit for value. Football is an entertainment business. It’s all about hyping up matches, signings and the trivial little dramas from the pitch or touchlines. It sells. But I’m a believer that this is one of the reasons why value presents itself in the betting markets. Let’s be honest, United weren’t the same after Fergie left. With so many player and manager changes at the club, it eroded the winning mentality he installed for decades. This was a turbulent, transitional period for United; they were re-building. Yet the betting markets were reluctant to acknowledge that, at first. The odds would so often suggest they were still that ‘same old United’ that would challenge for the title no matter what. This clearly wasn’t the case. They didn’t have a divine right to win. Is it possible that fans and pundits were still tied to the name “Man United” and not the team itself? I believe so. Despite what Karen Brady and the tabloids tried to have you believe, you couldn’t simply change your stadium, re-brand your club, demolish a historical ground (and home) in Upton Park, then expect to see results on the pitch at an athletics stadium. It was unrealistic to think the club could better their 7th place finish prior to the stadium move. Particularly as this position was largely thanks to one man — Dimitri Payet. Yet optimism remained high, and waves of positivity were continually made by the media. That was until West Ham wound up in a relegation battle shortly after the move. Mid-table clubs like Watford, Newcastle, or West Ham often have their moments throughout a season. It’s easy to get swept away by the positive press. But when it really comes down to it they don’t have the class or squad depth to match the top Premier League teams over a season. This is something that may be temporarily overlooked. So stay rational. To keep fans excited, football clubs heavily promote any new addition to their roster. These signings are often so over-hyped that it creates an unachievable expectation level for an entire team. Bare in mind that very few individuals can really turn games on their head (think Bale for Spurs, Suarez for Liverpool). It’s also hard to predict the impact a new signing will have — especially if they come from another league. Yet the public becomes overly optimistic, every time. 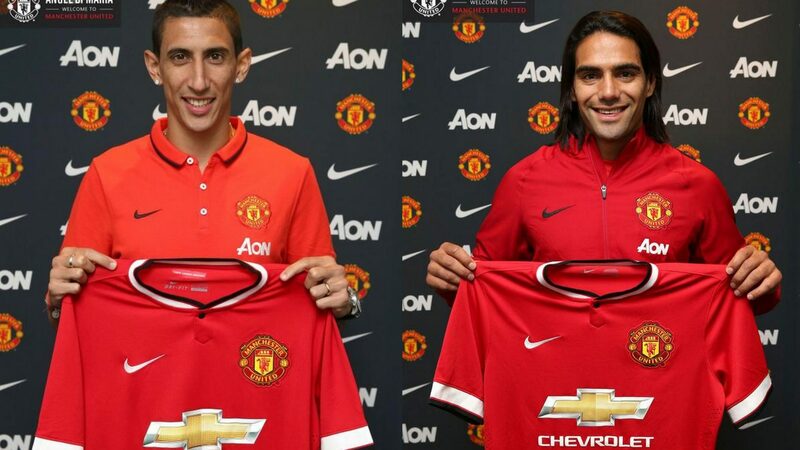 Signings don’t always live up to expectations. Problem is, it’s hard to measure ‘hype’ because it relies so heavily on one’s interpretation (or ability to quantify) how much something has been exaggerated. So if you’re good at identifying over/underrated teams, players, or managers, then you may also have a knack for finding value in your bets. When a team’s performance drastically improves, or declines, within a short space of time it’s inevitable that they will revert back to where they ‘belong’. Fighting a relegation battle one season to winning the Premier League title the next, defied all odds. Did we really think Leicester would stay up there? Michael Owen didn’t. At the time, he was slated for stating that he believed they’d be back in a relegation battle the following season. That estimation proved to be a little too extreme. But Leicester did drift back to mediocrity pretty swiftly. It was inevitable they’d fall. For whatever reason, Chelsea have ‘off seasons’. They build a title winning team… self-implode… then start over again. Chelsea had one of their characteristic ‘off’ seasons when Leicester won the league. This time they didn’t only slip outside the top four — they plummeted to 10th. This was disastrous, and yet another freak occurrence in a very peculiar Premier League season. Importantly, Chelsea didn’t suddenly lose all of their key players in the transfer window. They still had the talent and the resources to achieve much more. So even after a horrendous season it was inevitable Chelsea would recover. Naturally, they slotted back into the top 4/5. The point is, Premier League teams typically rise or fall at a slow rate, season on season. Teams can certainly deviate from their average league position and experience temporary ‘blips’ or ‘streaks’ — but it tends to revert back. This plays to a bettor’s advantage, particularly if odds are totally irrational. My Grandad once gave me some advice: “goal difference is the best judge of a team”. Years of watching Spurs fail to win the league due to their poor defence lead him to that conclusion. However, I think there’s a lot of truth in what he said. For many years Spurs had a knack for finishing about… 5th. This wasn’t really a bad result when you compare their abysmal goal difference to other teams around them in the table. This was particularly true of the “AVB era”, when Spurs would marginally beat ‘weaker’ opponents, but were drubbed by the top 4 (in rather embarrassing fashion). Ultimately Spurs were too weak defensively to seriously challenge for the title. 2014-14: Close to Everton in points, but very different in overall performance (GD: +4). 2014-15: same story (GD: +5). Ironically, Spurs currently have a defence fitting for a title winning team — but have lacked a pacey frontman to support Harry Kane. Could this be Lucas Moura? By referring to the goal difference throughout the season you might be able identify teams who’s league position is flattering. Very often they will come back down to earth with a thud once their results begin to reflect their performances. This is one of the simplest, most effective tips I can give beginners. The potential downside to fixating on goal difference is that it’s skewed by big wins or losses e.g. a 5-0 win. However, over the course of a season it paints a clear picture, and gives far more insight than the points tally alone. This leads on from the previous tip. There are attacking teams that do relatively well in the Premier League despite their leaky defence. This is interesting, because it goes against the populist idea that teams must “build from the back”. They’re on the up under Klopp, but have been plagued by defensive frailties in recent seasons. So the question is, what does this mean for Liverpool? Look again at the 2013/14 table (above) where Liverpool — despite being defensively inferior to local rivals Everton [who finished 6th] — achieved 2nd place thanks to their exceptionally powerful strike force. On one hand it’s promising that a strong attack/mediocre defence tends to trump a strong defence/mediocre attack over a season. However, both of these combinations are limited, and prone to shock results. These teams are likely to eventually fall short to their ‘well-balanced’ rivals — with a very strong and defence combination — because they’re more likely to regularly pick up the 3 points. Consistency, rather than flair, is the key to topping a Premier League season of 38 games. Consistency with flair is the holy grail. And only Manchester City have managed to achieve that in recent years. Of all my tips, this is the trickiest to apply. One of the problems with football is that we can’t measure psychological factors even though they exist, and have an impact. We can read into body language, managers’ comments, the ‘vibe’ that players give off. But it’s speculative. It’s impossible to pinpoint precisely what psychological factors will have an influence on a game — because they exist inside the minds of other people. We don’t know precisely why there’s a home advantage. It’s presumably a result of the familiar surroundings, with your own fans (and chants), and the reduced travel time to the match. It’s a factor that has to be considered even if teams are very closely matched ability-wise. An example of a home advantage being lost. West Ham’s move from the Boleyn Ground was attributed to many poor home performances. Hammers fans believed that their new home environment was so different in atmosphere and pitch size, that it negatively impacted their results. It has to the be the finest example of a home turf “fortress” since the start of the Premier League era. Old Trafford is an impressively large stadium, which helps. But for whatever other reason, teams would go to Old Trafford expecting to lose. Only now can we see that this was down to yet another factor — the “Fergie Factor”. Thus teams no longer fear United’s home turf like before. It’s hard to pinpoint why some teams simply cannot, or very seldom, beat a particular opponent. I’m very much aware that Spurs struggle against Chelsea. The frustration of this manifested itself in the famed “Battle of Stamford Bridge”, with the record number of 12 yellow cards shown in any one game. Fun fact: Spurs failed to win at Stamford Bridge from February 1990, right up until April 2018. Jose Mourinho. Need I say more? Just about everything he say’s in public is aimed at antagonising an opposition. However, he’s hardly the pioneer of mind games. Let’s not forget one of the Premier League’s most famous moments — Kevin Keegan (completely and utterly) losing the plot after taking the bait from Alex Ferguson. It didn’t end well. 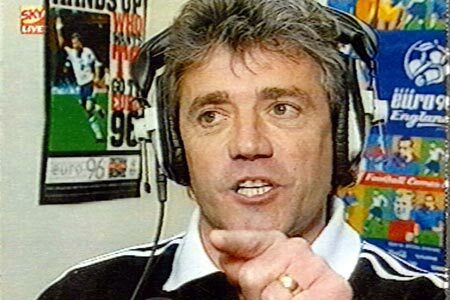 Keegan’s Newcastle didn’t win the league that season. Getting wound up (publicly) exposes some sort of fragility. It seemingly ripples throughout the club and onto the pitch. At least it seemed that way for Keegan and Newcastle in 1996. It’s rare that negative public attention has a positive impact on the pitch. Think about Mike Ashley and his various scandals, Harry Redknapp’s dog’s bank account, the several incidents involving Alan Pardew, and so on. Incidents attract more scrutiny and pressure, set the tone at the club, and often result in very poor performances on the pitch. Some clubs have a tendency to crumble under pressure. We refer to those clubs and players as “bottlers”. For teams like Spurs and Arsenal, their excuse could be a lack of experience. Young, vibrant squads, with a low average age may have the technical ability — but still have a lot to develop in terms of mental strength. It’s evident that older players are better equipped as leaders. Consider the effectiveness of Christiano Ronaldo at Real Madrid and Portugal. At times it’s felt that he can single-handedly grab his club or country by the scruff of the neck and pull them out of any hole they’d dug themselves into. Love him or hate him, it’s plain to see that he’s majorly influential and mentally strong. Therefore I believe that experience and strong leadership has a huge affect on the overall team mentality in crucial moments of the season. Detecting psychological strengths and frailties early on can prove advantageous to your betting. Just bare in mind that some factors are too abstract to accurately measure. Regardless whether you’re building a football prediction model, looking for a profitable football tipster, or betting for fun, I strongly advise thinking about the factors I’ve listed. They influence fan perceptions, and thereby the odds. One of the most “general” words of advice I can give punters is to refrain from thinking about who’s going to win a game. Instead focus on what’s pushing the public opinion in one direction and then decide whether you agree with that or not. That should dictate your selections. Of course, these are merely my observations and ideas. Do you have any tips? Share in the comments section! Originally posted 8th December 2016. Updated for the 2018/19 season. What Does Value Betting Mean? True what you say about united. But im a city fan so i would say that!! Ha. Yeah, I think the narrative has very quickly become “they’re not the United of old”. As a Spurs fan I’m really interested to see how the odds will look for the Premier League Winner market for next season. Whilst I can appreciate that United have the power to buy great new players, I don’t see how they’ll top Chelsea, City, even Spurs next season at this rate.